Crown Center: Commercial neighborhood in Kansas City, Missouri. Silver Dollar City: Theme park in Branson, Missouri. Worlds of Fun: Amusement park in Kansas City, Missouri. Saint Louis Zoo: Zoo in St. Louis, Missouri. Six Flags St. Louis: Theme park in Eureka, Missouri. City Museum: Museum in St. Louis, Missouri. Lake of the Ozarks: Reservoir in central Missouri. Gateway Arch: Monument in St. Louis, Missouri. Titanic Museum: Museum in Branson, Missouri. Grant's Farm: Former Busch family estate, located in St. Louis, Missouri. The Magic House: Children's museum in St. Louis, Missouri. Saint Louis Science Center: Science museum in St. Louis, Missouri. Missouri Botanical Garden: Botanical garden in St. Louis, Missouri. Table Rock Lake: Reservoir in southwestern Missouri. Country Club Plaza: Shopping center in Kansas City, Missouri. 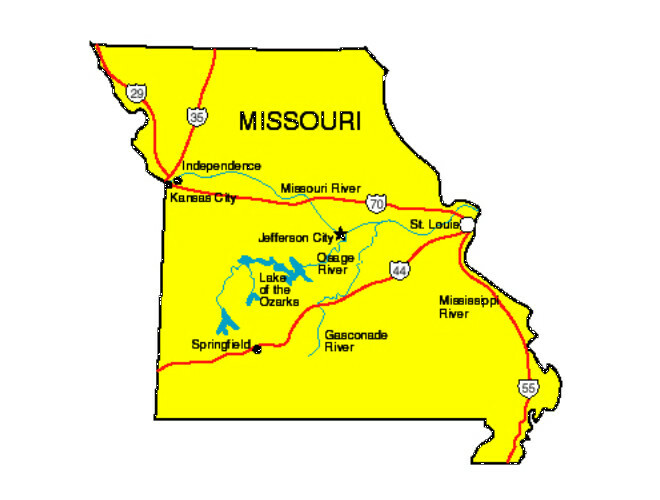 The state of Missouri was named after a tribe of Sioux Indians of the state called the�Missouris. The word "Missouri" means "wooden canoe people" or "he of the big canoe." Richland, Missouri, is the only city in the U.S. with a cave restaurant. Kansas City, Missouri has more fountains than any city in the world except Rome. Hence Kansas City is known as the City of Fountains. St. Joseph, Missouri was the starting point of the famed Pony Express. In 1873, Susan Elizabeth Blow opened the first public kindergarten in the United States in St. Louis. 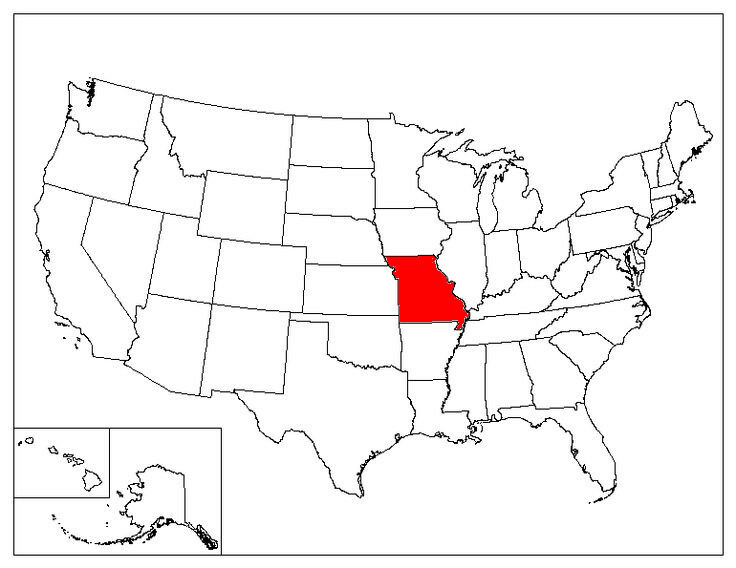 Eight different states border Missouri, making it the state with the highest number of neighboring states. Tennessee also has eight bordering states. Missouri has more than 6000 known caves. In University City, Missouri, it is illegal for a person to have a yard sale on the front yard. Missouri is one of two states with an official State Grape. Missouri's State Grape is Norton/Cynthiana grape.